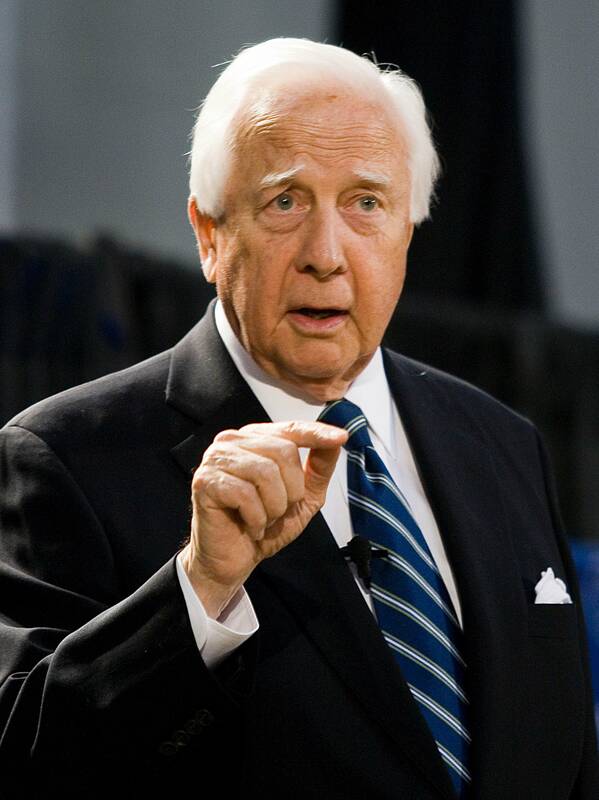 Pulitzer Prize-winning historian David McCullough says we've become a nation of spectators, and need to remember that there are actually four branches of government: the judiciary, the congress, the president and the people. When he was growing up, it didn't matter what your faults were, as long as you were a hard worker, McCullough said. "And that's how we got to where we are, by working very very hard," McCullough said during a speech at the JFK Presidential Library in Boston, May 25, 2017. Throughout our history, and more recently, America has witnessed leaders who have acted inappropriately, and because of this we have experienced pessimistic, baffling times McCullough said. "But we've come through them all," he said. "And very often when we do come through them ... we're better off and better for having done it." McCullough says there never has been a simpler time in America, "and if you don't understand that you don't understand the reality of our story." For this reason, it's essential that our leaders know history, and it's our responsibility to teach it to our children and grandchildren, he said. His new book is a collection of speeches he has given over the years about American values and about our history, titled "The American Spirit: Who We Are and What We Stand For." The event was moderated by former ABC news anchor Charlie Gibson.